Can I install Radiant Solutions heat tape on my standing seam metal roof? 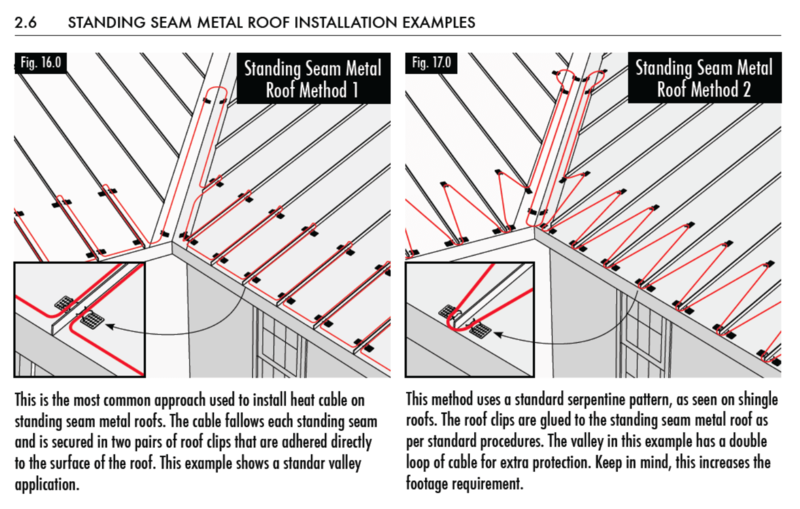 Installing our heat tape on your standing seam roof can be very effective in combating ice dam formation. There’s two main products used to install heat tape on your standing seam metal roof: The S-5 SR Heat Tape Clip, and the standard ice dam heat tape clip. Can I install Radiant Solutions heat tape on my cedar roof? The installation configuration is exactly an asphalt shingle roof. 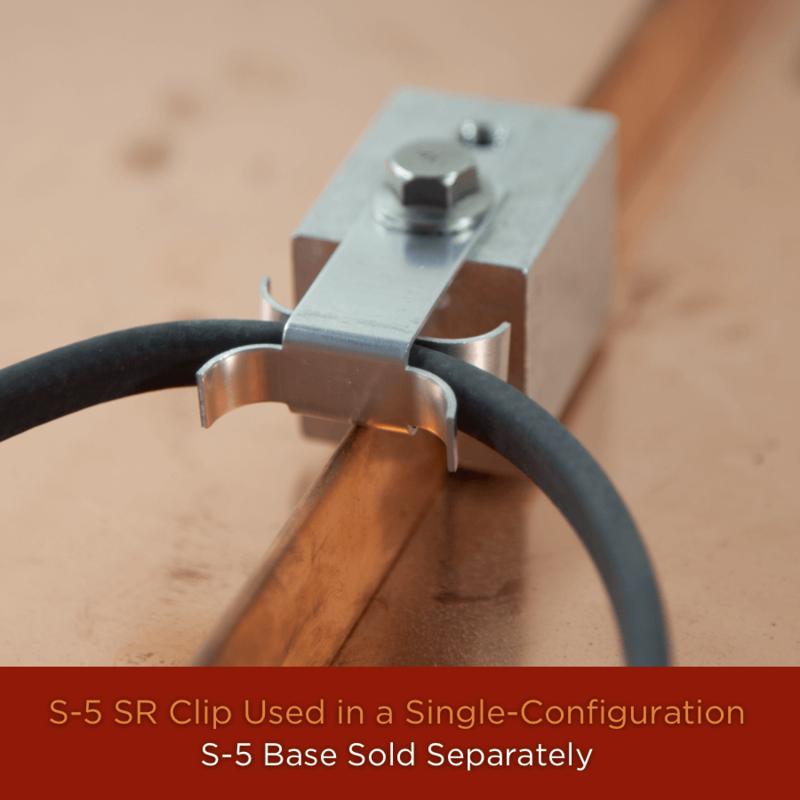 You may want to consider special copper roof clips to attach the cable to your cedar roof. We recommend working with a contractor who is familiar with cedar roofs. Can I install heat tape on my flat roof? However, the standard serpentine patterns designed to create water-drainage channels in forming ice don’t really apply to flat roofs, because we don’t have the same directional gravity pulling the water down like we do on a sloped roof. Each heat tape application on a flat roof can differ based on many factors. The best way to determine a heat tape solution for your flat roof is to contact us, and we’ll help design a configuration that fits the best for your needs. Not only are we Ice Dam and Heat Tape experts, we know a lot about flat and rubber roofs from our sister roofing company in Minneapolis, MN.